University of Information Technology and communications participated in the first international conference of developing the manpower. University of Information Technology and communications participated in the first international conference of developing the manpower The Rehabilitation, Employment and Follow-up Division at the University of Information and Communication Technology participated in the first International Conference on Manpower Development held in cooperation between EREX and the Department of Studies, Planning and Follow-up in the Ministry of Higher Education and Scientific Research. 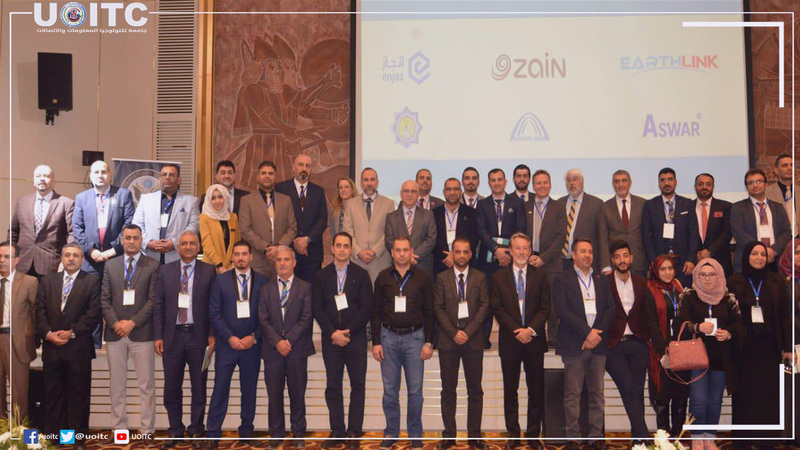 The conference aims at supporting the graduate students from Iraqi universities as well as studying the skills required by the graduates to obtain a job easily. These skills can be introduced to students by employment centers in 35 Iraqi universities, including our university. It was also agreed with some companies in the private sector to include graduates of the UOITC in a free training courses in addition to the possibility to get a job for the superior students and distinguished in their specialties. The conference included an exhibition of projects in the field of information technology and communications. 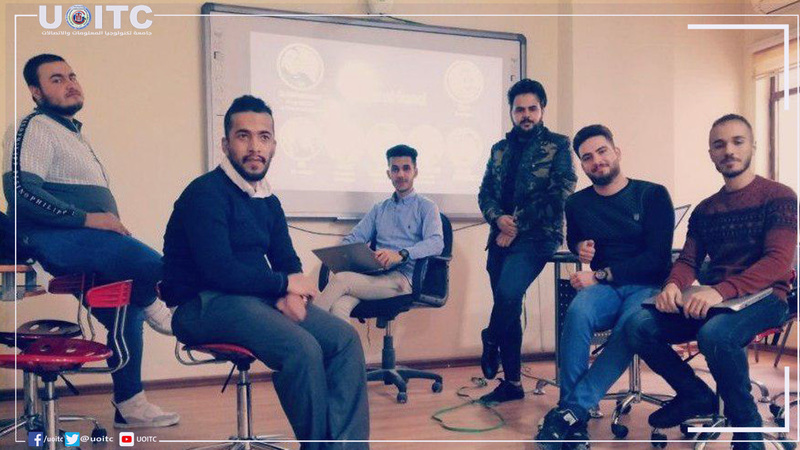 A number of university students participated in a project about protection against the hacking " Auto Network Access Control". 12 winner projects most of which were engineering projects out of 44 projects. 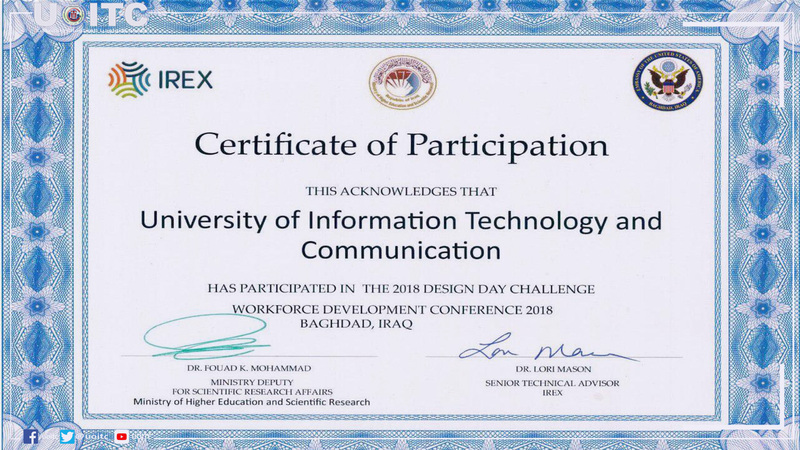 It was also agreed to expand the acceptance plan for the projects of computer science departments in the universities for the second annual conference in 2019 in order to enable the Rehabilitation, employment and Follow-up department to assign a plan for designing and implementing distinguished projects in cooperation with specialized graduate students to gain the opportunity for wining advanced positions in the next exhibition. The university was represented in this scientific forum by the Director of the Rehabilitation and Employment Division, Dr. Mohammad Qasim, and the graduate students Abbas K. Radam, Ali J. Mohammed, Nooruddin Kamel, Amir H. Abdul Amir, Samer S. Thamer and Mohammed A. Salem.